Unraveling the community structure of real-world networks is an important and challenging problem. Recently, it has been shown that methods based on optimizing a clustering measure, in particular modularity, have a resolution bias, e.g. communities with sizes below some threshold remain unresolved. This problem has been tackled by incorporating a parameter in the method which influences the size of the communities. Methods incorporating this type of parameter are also called multi-resolution methods. 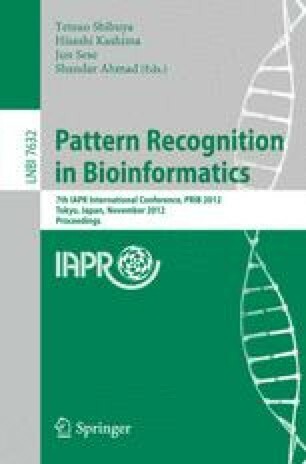 In this paper we consider fast greedy local search optimization of a clustering objective function with two different objective functions incorporating a resolution parameter: modularity and a function we introduced in a recent work, called w-log-v. We analyze experimentally the performance of the resulting algorithms when applied to protein-protein interaction (PPI) networks. Specifically, publicly available yeast protein networks from past studies, as well as the present BioGRID database, are considered. Furthermore, to test robustness of the methods, various types of randomly perturbed networks obtained from the BioGRID data are also considered. Results of extensive experiments show improved or competitive performance over MCL, a state-of-the-art algorithm for complex detection in PPI networks, in particular on BioGRID data, where w-log-v obtains excellent accuracy and robustness performance.